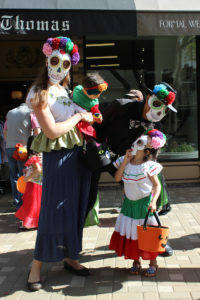 Families are invited to celebrate Halloween weekend with a special trick-or-treat event at Town Center Corte Madera. Free to attend, shopping center merchants will hand out candy to the little ones. Kids can also visit the free photo booth and enjoy a magic show. Four-legged family members are also invited to join in on the fun. Dress up your pets in costume and visit JustFoodForDogs, the soon to open fresh food for dogs kitchen and pantry. JustFoodForDogs will be on site handing out gift cards and hosting a photo booth for furry friends. The Milo Foundation will also be on site to host a mobile adoption, in conjunction with JustFoodForDogs. All new dog owners on this special day will receive a free 30-day supply of JustFoodForDogs dog food.